A family room can be an asset in any home. Family rooms are casual living spaces designed around the social and recreational needs of homeowners. Family rooms have evolved over the years. The concept was first introduced in 1945 by Designers George Nelson and Henry Wright in their book “Tomorrow’s House”. Many of the design ideas displayed in the book can be applied to homes today. Family rooms came into vogue in the 1970s when it was a popular trend to convert a basement into living space by adding thin plywood grooved paneling, a suspended ceiling, fluorescent lights and a carpet to create a place for children to play or for Dad to escape. Furnishings often included an old couch, fold-up tables, a portable television, an old refrigerator or maybe a pool table or ping-pong table. In the 1980s, family rooms were included in many new home designs. 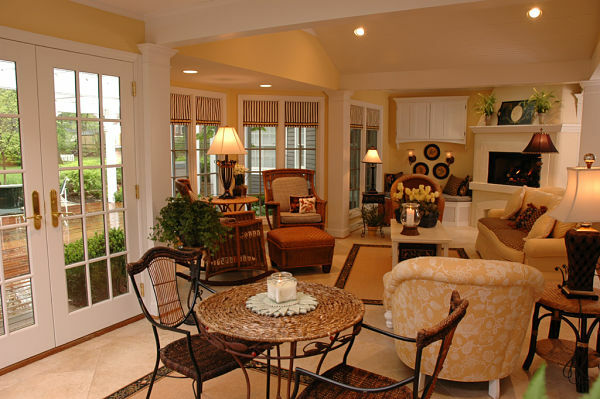 The “great room” which is a multi-purpose room that unifies activity centers of a home such as the kitchen, dining room and living room became an important feature in homes built in the 1990s. Today, family rooms are designed according to the lifestyle needs of homeowners. 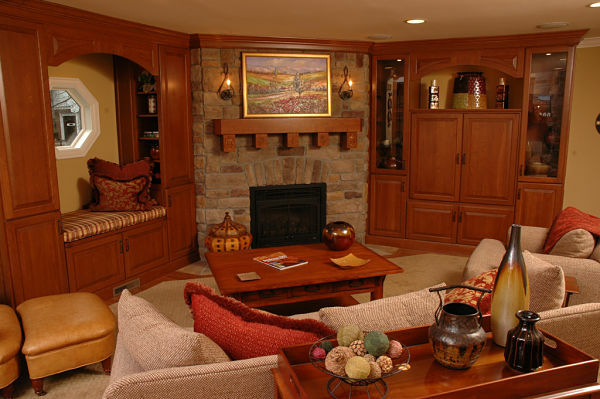 A family room can be located in a central area of a house but also on a second story or basement. No longer are basements being ‘remodeled’ with plywood paneling. 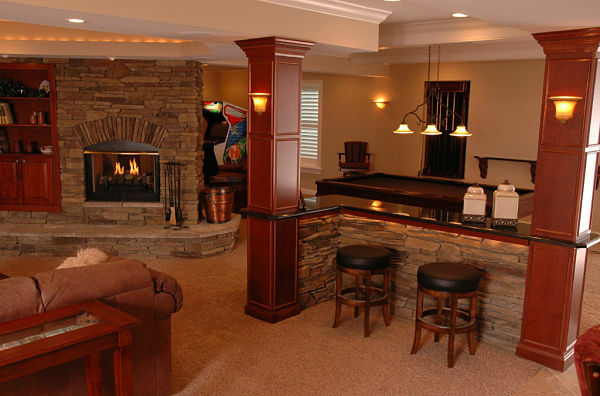 Basements or lower levels are now an extension of the primary living area and are finished with drywall and trims to echo the look of a home’s interior. Homeowners are also building additions to provide space for media equipment, home offices and entertaining. 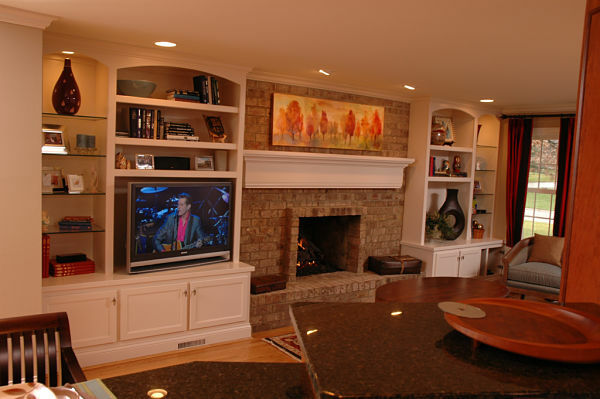 Often a family room addition will be built off a kitchen to create open and functional space for the family and guests. Family rooms are often designed as “multi-purpose rooms”. Begin your plans by identifying how you will use the room. Are you planning to create play space for the kids, a media room, a home office, sleeping quarters for guests, a second kitchen, a bar, wine cellar, sewing/craft room, laundry room or an exercise room? Will you need an additional bathroom or a sink in the space? The list can go on but it is important to define uses for the space before determining the layout. From there you can divide the room into activity centers. If you’re working with a large space, it may require breaking up the room with walls to address your needs. Where will the room be located in your home? Are you repurposing an existing room such as a living room or dining room by changing furnishings or adding shelving? 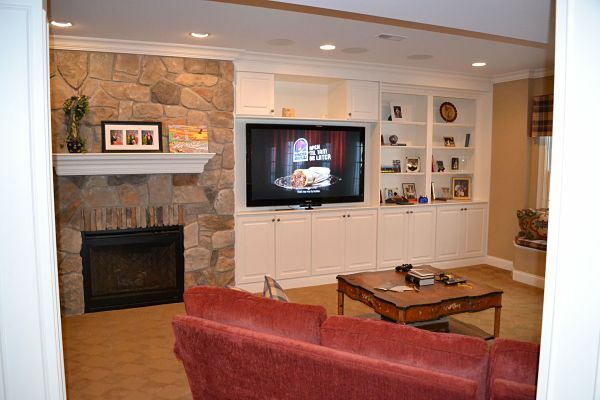 Will you be converting existing space into a family room by removing walls on a main or second floor level? Are you planning a basement conversion? Will you need to build an addition to your home to meet your needs? Determining the location of the room will be important to generate drawings and options. If you plan to remove existing walls you will want to consult a contractor early in the planning stages to assess structural issues, particularly if the walls may be load-bearing. Some of these items can be hidden from sight in cabinets, drawers, storage benches and closets. Other items can be displayed on open shelves, walls and tables. Planning for lighting, electrical devices and the location of outlets and switches is an important step in designing a functional family room. Lighting includes natural light that enters the room during the day, general lighting and accent lighting. Accent lights can be placed in shelving, under cabinets, over paintings, over fireplaces and in bar areas. Use dimmer switches on lights if the main purpose of the room is for viewing tv and movies. There are compact fluorescent and LED light options to consider. Talk with your contractor about your electrical needs. The standard size of a couch is 84 inches and three people can sit comfortably. Love seats are generally 60 inches in length and seat two. Once you’ve addressed the basics, consider your style and how you will decorate the room to make it comfortable and inviting. You might want to check out HGTV’s list of interior design styles to find one that fits your home.